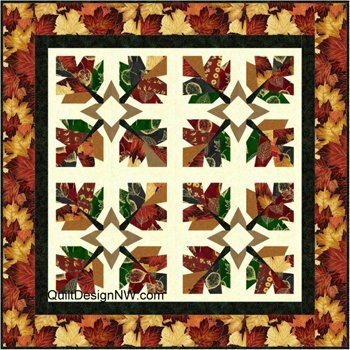 Prepare for fall by paper-piecing these colorful leaf and acorn blocks. 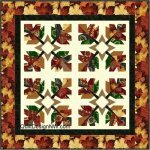 Then set them into placemats, a table runner or a wall quilt. Table runner: 18" x 48"
Wall Quilt: 32" x 32"